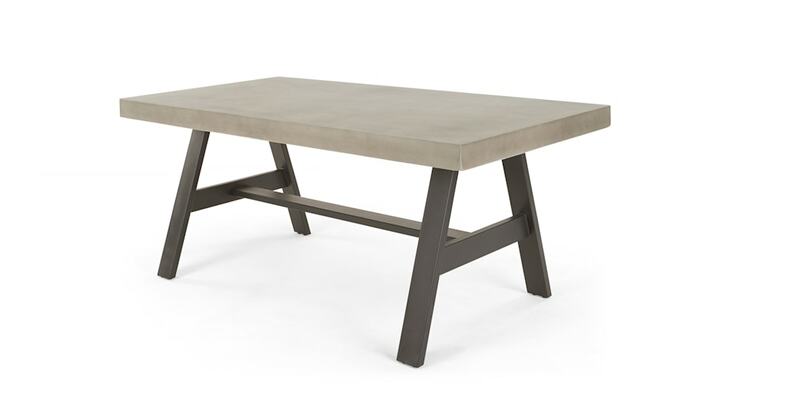 Sleek and sophisticated, our Edson dining table makes a real statement in the garden. Its industrial concrete and metal finish means it brings a directional edge to your outside space. And it looks great indoors, too.